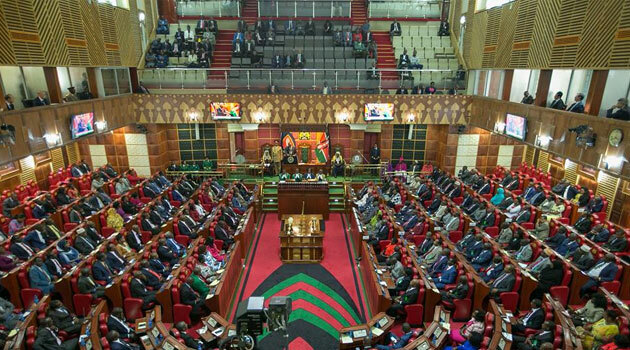 By SIMON NDONGA, NAIROBI, Kenya, Sept 18 – Members of the National Assembly will hold a special sitting on Tuesday to debate President Uhuru Kenyatta’s proposal to impose 8 per cent Value Added Tax (VAT) on fuel products instead of issuing a moratorium to suspend a 16 per cent levy. A number of legislators have vowed to vote against the proposal arguing that the move will not ease the situation, as ordinary Kenyans are already suffering. According to them, fuel should not be taxed at all, because it is what runs the economy. In his address to the Nation last week, President Kenyatta said he sent back the Bill which proposes to suspend the 16pc VAT increase because it does not reflect the rising challenges in the country. He said it would have negatively impacted his four-pillar development pledge of universal healthcare, food security, expanded manufacturing and affordable housing. The proposal, if approved by Parliament, will see super petrol drop from the current Sh127 to Sh118, while diesel will cost Sh107 from Sh115. The VAT on fuel products came into effect on September 1, despite the amended Bill that was passed by Parliament seeking a suspension. The implementation has since been challenged in the High Court, leading to an order suspending it which has however not been honoured by the Energy Regulatory Commission (ERC).